Always last on the list: Tea Time Treats: The Great British Bake off has a lot to answer for ! Tea Time Treats: The Great British Bake off has a lot to answer for ! OK so I have been watching too much tv. Damn you Mary Berry and Paul Hollywood. You make it sound so damn easy ! I've tried Mary Berry's roulade and had a reasonable success with it but it's too easy to make huge cake and then feel you have to eat it all. Not great for the old waistline. And with two hungry, sweet-toothed girls I was looking for something a wee bit different. Step up to the oven Paul Hollywood and your iced fingers. More bread than cake (ok the cream and jam and icing besides). Sounds easy on the BBC website. Let's give it a go. And it was easy. Thankfully I had had the heating on and they got two good rises. My daughters thought they were wonderful but they were absolutely huge. I think next time I will make them into little round buns rather than huge fingers. As Toots exclaimed "They are fingers from a giant". Thanks to Lavender and Lovage and What Kate Baked for suggesting Tea time treats as a January baking challenge. Fantastic! I soooo want to make these, but am still eating Christmas baking and should really be eating NO cake or bun at all! Ohhh, these are right up the top of my 'to-bake' list...I loved them as a child! 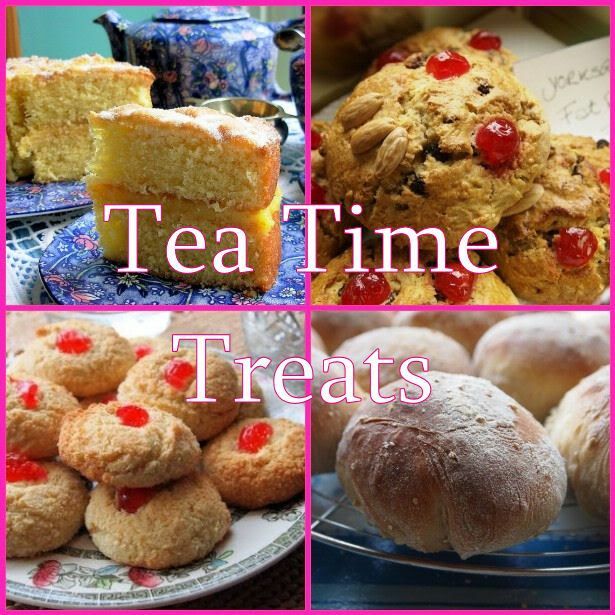 Thank you ever so much for entering Tea Time Treats- yours look v v professional and absolutely delicious!